I’m not real thrilled that it is August. This is the month that school is supposed to start at LAKE Academy… our homeschool. I am at the lake currently (Lake Tahoe) and I am slightly getting inspired to start thinking about getting ready to begin maybe planning some of our curriculum, being that we are studying a few national parks this year that are also in California with huge redwood trees like the ones I am staring at out the window. I am the most unready of all 11 of my previous Augusts. And I am almost okay with that. Almost. Guilt tried to consume me last night in the 27 seconds between my head hitting the pillow and when I was actually asleep. But it was only 27 seconds of guilt and I had the presence of mind to ask God to rid my brain of said guilt. He did… with sleep. Today, in the wake of realizing that it is August THIRD, I did break out the coil-bound notebook that does have 2 1/3 pages of notes. Those two-and-one-third pages are ALL I have planned so far for 10 months of study with my three pupils…. and it’s in outline form, so I do have a bit of work to do. Only 137 1/3 blank pages awaiting my attention. One thing I have learned in my 11 years of homeschool planning, is that IF I plan all ten months before we start, we will NOT finish what I have purposefully painstakingly planned. If I plan a few months or units at a time, I am FAR more inspired to be creative in small chunks throughout the year, knowing that we WILL finish what is planned. Our upcoming school-year will consist of the study of seven national parks on the western side of the United States. We plan to do between four and six weeks of study at home and then CAMP for a week at each of the parks. THAT is my kind of homeschooling. We are schooling with another family who is also close to normal, so it will all be just fine. 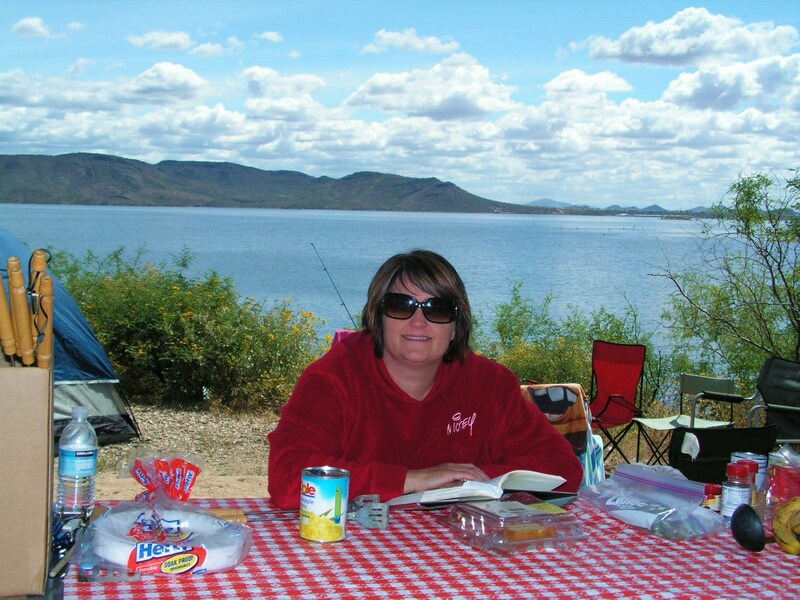 Yes, it will be two wild-n-crazy homeschool moms camping with eight children ranging in age from 7 to 17. Awesome! She is a science geek and I am a history nerd, so most subjects will be covered with some art thrown in for good measure. Geology. Astronomy. History. Conservation. Botany. Dendrochronology. Eco systems. Nature Journaling. Art. Oh yeah. This is the type of homeschooling that I have only dreamed of for 11 years. Please stay tuned to see if it’s all I think it’s cracked up to be. Yes, the Mayans were right! 2012!! THE END! American History was the topic this past year for my homeschool class of high schoolers… and it ends day after tomorrow. We started in 1440 (Go ahead and guess why we started there!) and ended in the 1970s. I told the kids if they want to find out what has happened in the last 42 years, they are on their own! The Vietnam War ended and we were done. Kaput. Finis. We did add a bit of culture and art to the study to keep it interesting (for me!) and we debunked several idols from these youngsters’ minds. “Like what?” you ask. Well, it seems of few of them were drawn to the hippies…. the Jesus people… the Kennedy’s… the Beatles… all for glamorous reasons. Then we studied some of their lifestyles, choices, outcomes and habits. Not too glamorous after all. Perfect! That is why we homeschool! To look at REAL history. Another homeschool mom (who might just be crazier than me!) and I sat together today and did some planning for next school year… which we decided will start two weeks after all the public schools here in Arizona. Because we can! Yet another reason to homeschool! We were at an Abeka display/sale in a nearby hotel. If you don’t know anything about Abeka, it is a Christian based curriculum that is EXTREMELY thorough… so thorough that it actually contains TOO much school work for the average kid to endure. It is great, in my humble opinion, as a “pick one topic each year” curriculum. So we used it for American History and I loved it. Next year we are using it for spelling and vocabulary. We want our kids to love learning, to see creation as an organized and amazingly ordered system that WORKS, to appreciate great men and women who have endured and suffered and succeeded and lost and lived out their beliefs. But most importantly, we want them to know God. To love God. To serve others. To use their individual talents for the kingdom. THAT is why we do what we do! I’m a slacking blogger at the moment because the rest of my life keeps getting in the way. What in the world? I thought I had my plates all spinning simultaneously, but alas, a few new plates were added. If I were an octopus, this might be possible. Thankfully, the busyness is temporary. I’m off to Vegas tomorrow for a quick seminar and drive back. Then Saturday I’m off to Tucson for a women’s tea with the Southern Arizona homeschoolers. Rock on! Those are my peeps! Needless to say, between figuring out what to do with my kids, packing, post-adoption visit, sleeping, judging a speech meet and forgetting my parent’s anniversary, I haven’t had time to sit straight and think. The unthinkable has also occurred (obviously since I didn’t have time to think! )… I haven’t read for pleasure in over 2 months. Sad, I know. A weekend retreat is coming in a couple of weeks and I can unwind and refocus then…. and sit and do nothing for four days. Just in time, I borrowed the Tim Hawkins Roadshow DVD for that trip! Can’t wait. Happy Valentine’s Day! Happy Centennial Birthday, Arizona! Happy Ground Hog’s Day! and an upcoming Happy President’s Day! I made that up myself. The creativity must stem from four straight days of fresh air stimulation. A friend called on Tuesday and asked if we wanted to go camping for the rest of the week at a lake that is only 22 miles from our house. “YES!” And thus brings you up to date on our week right until last night when we dumped loads and loads of campfire-smelling articles into piles in our garage. They are still there. Funny thing was, I checked the weather report for the week on Wednesday morning AFTER I had shopped and packed and hauled and directed. It reported “Major thunderstorm warning! Avoid outdoor activity! Stay indoors! Unplug electrical appliances!” Does anyone really do that? So off we went to the lake. 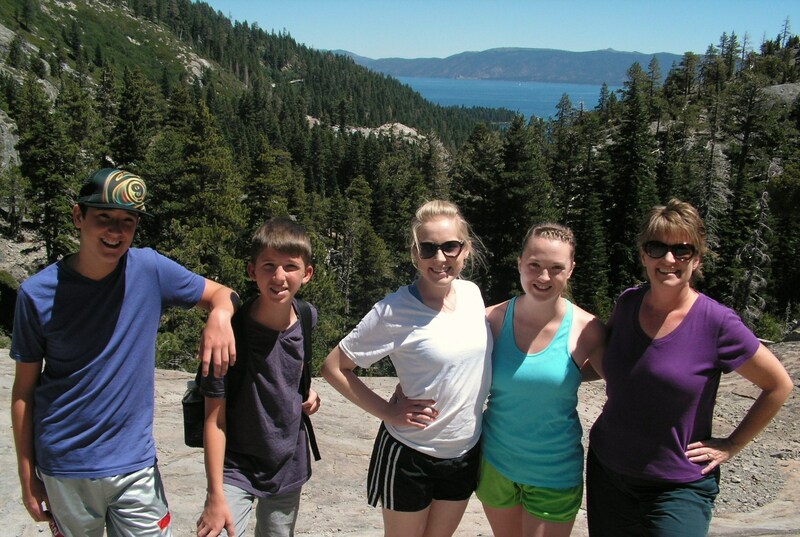 All seems pretty normal, well, for homeschoolers who spontaneously school at unpredictable locations. Why not the lake? 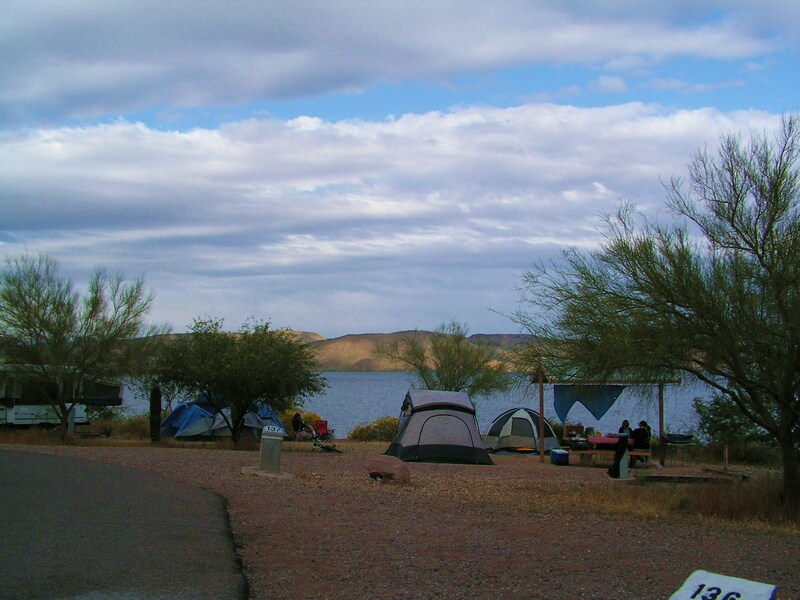 I read somewhere that camping is nature’s way of promoting the hotel industry. HA! That’s true for my mother, my sister, my sister-in-law and many others, but not for me. Camping promotes wonder and awe at God’s creation…… wonder in the dark inside a flimsy nylon tent that is your only protection from those strange noises…. and awe that Lewis and Clark did this for a living (minus the nylon tent)! 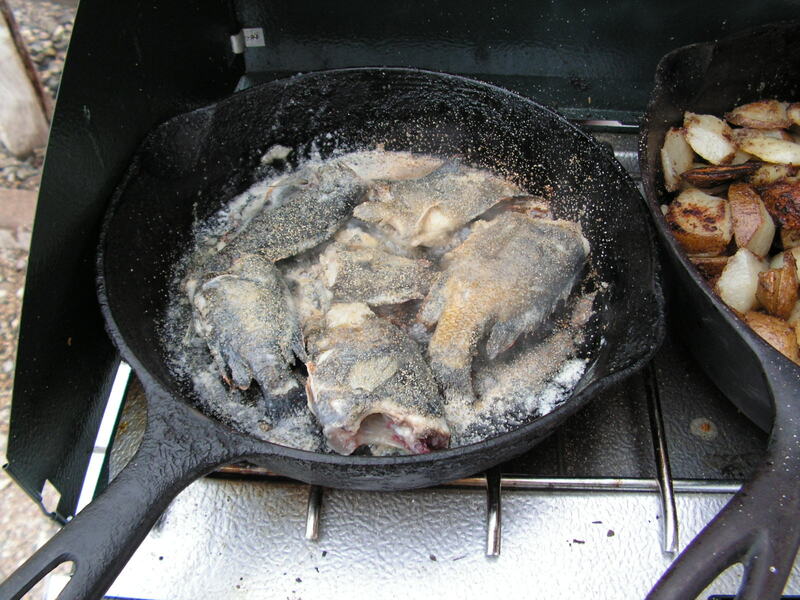 I truly feel at home in front of the Coleman stove with recently caught and be-headed fish in the cast iron frying pan. 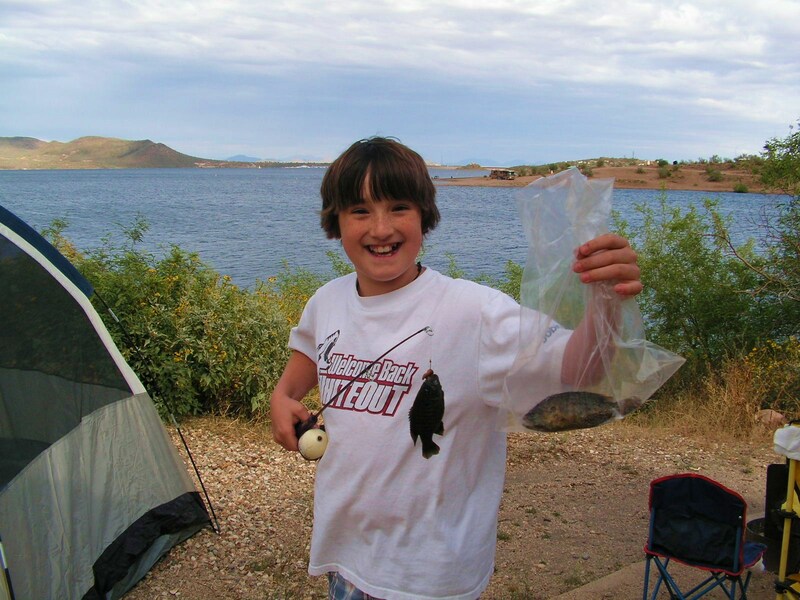 My kids have never caught fish while camping. So I didn’t leave openings in the meal plan for freshly drawn bass. After my sons snagged seven scaly specimens the first day, I casually mentioned to my friend that I had never cleaned fish or lit a Coleman propane stove before. Proudly, I can check those off my bucket list now. The thunderstorms didn’t materialize… however it did rain three times for 27 seconds each time. We had a daily wind gust that blew anything and everything not tied down toward the lake. The clouds made me wish, more than once, that I had a folded copy of the Cloud Formations poster that my husband memorized in flight school. Cumulonimbus…. 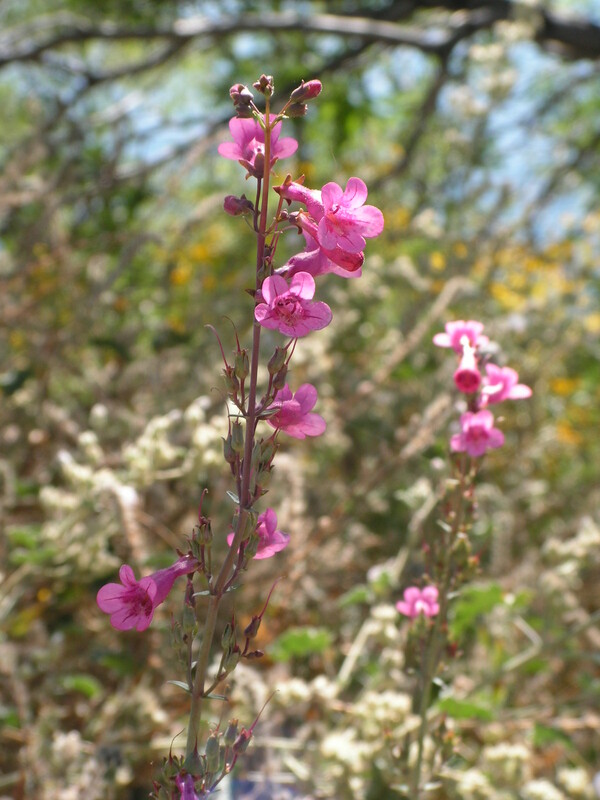 uh….. stratus….. cirrus…..
Wildflowers bring joy to my heart. God made them especially for nature lovers like me. Pink, yellow, purple, orange… LOVE IT! This was my first vacation ever where I actually read through every book and magazine I brought and still had a day and a half left over. I didn’t stress about it…. I just stared at the lake. The kids stayed busy kayaking, swimming, fishing, riding their bikes, gathering wood, building fires, playing games and laughing. I never once heard, “Mom, there’s nothing to do!” What an awesome week! Yesterday we hiked West Fork Trail 108 in Sedona. It is past Slide Rock, for those who know the area. 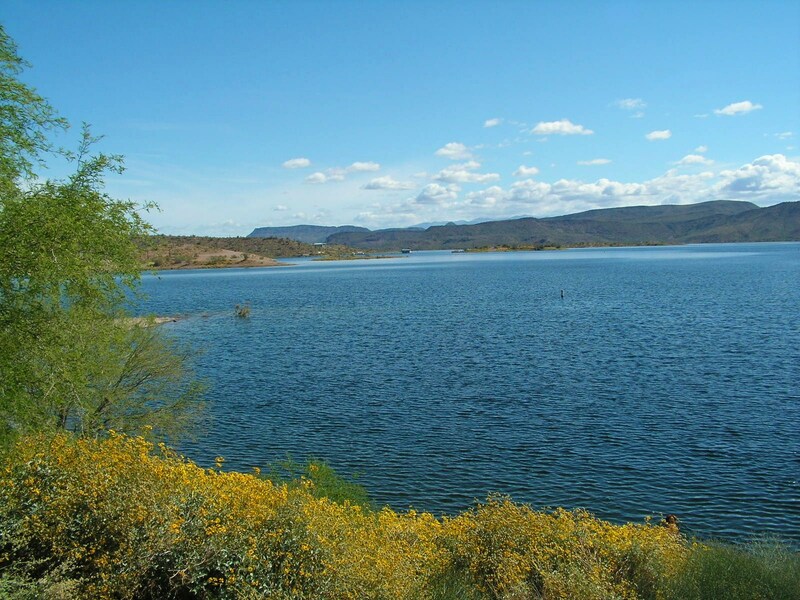 It is a four mile hike that crosses Oak Creek seven times…. on rocks, logs, mud patches and twigs. Twigs were my personal favorite. Well, it’s actually 14 crossings if you count in and out. Only one kid fell in from our group. We did witness another kid fall in twice. It’s not deep, just FRIGID! It was an absolutely beautiful day! Sunny and breezy. Perfect for hiking. There was an abandoned homestead on the way to the creek and this was their chicken coop. Keeve thought it was a barber shop. Not sure what’s up with that? Oh, Larisa took all of these pictures. I carried the sandwiches. The beauty God mixed together in this valley is sublime. Red rock, green trees, blue sky, white snow…. yes, you read that correctly… SNOW. My niece, Whitney, came with us too. We went with two other families, the Fooks and the Browns. All together there were 3 moms and 11 kids ranging in age from 6 to 19? Not sure about that last one. Here are Corriedale Sheep wearing the little coats that keep their wool clean. 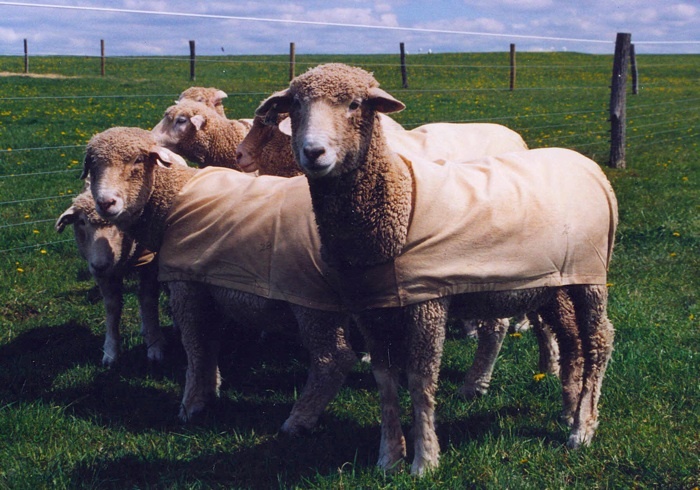 If you don’t have these coats on your Corriedales, and the wool gets stinking filthy, there is still hope that homeschoolers will buy the smelly fleece on eBay when they do a unit study on Sheep and Weaving. But personally I would invest in the coats.